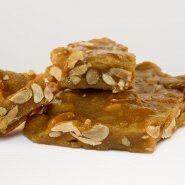 Crunchy caramel brittle, packed with whole, salty peanuts. 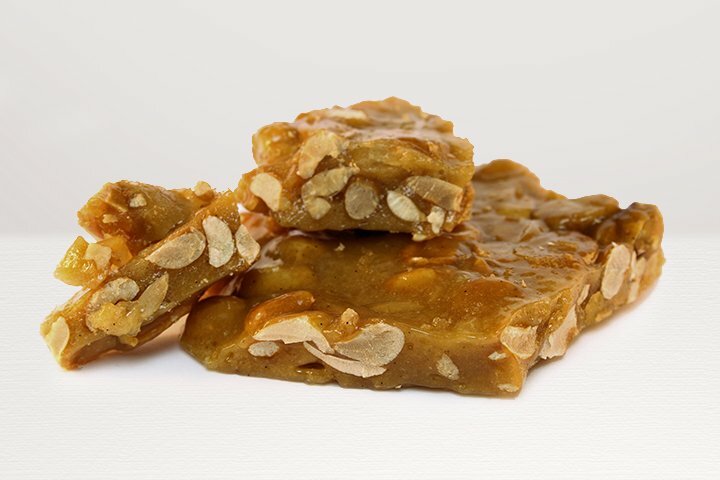 Our devilishly different, award winning, version of an old confectionery favourite. 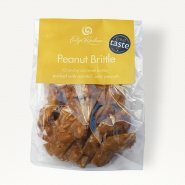 We pack our special crunchy caramel full of whole salty roasted peanuts to give an irresistibly moreish snap sensation. 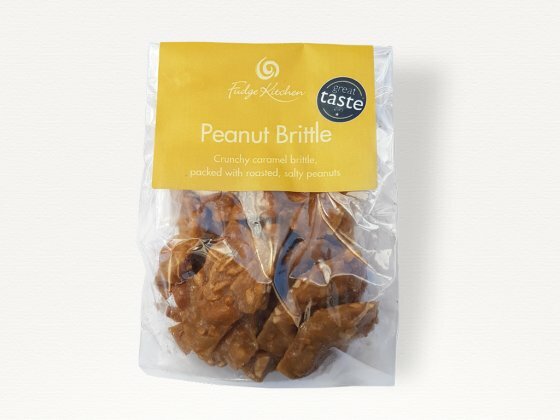 The brittle bit is your resolve. Sugar, PEANUTS (28%), Glucose Syrup, Water, BUTTER, Flavouring: Natural Vanilla, Raising agent: Baking Powder, Salt. For Allergens, see in BOLD. Not suitable for Nut and Peanut allergy sufferers as this product contains peanuts and nuts. Free From artificial flavouring and colouring. Gluten free. Vegetarian friendly.